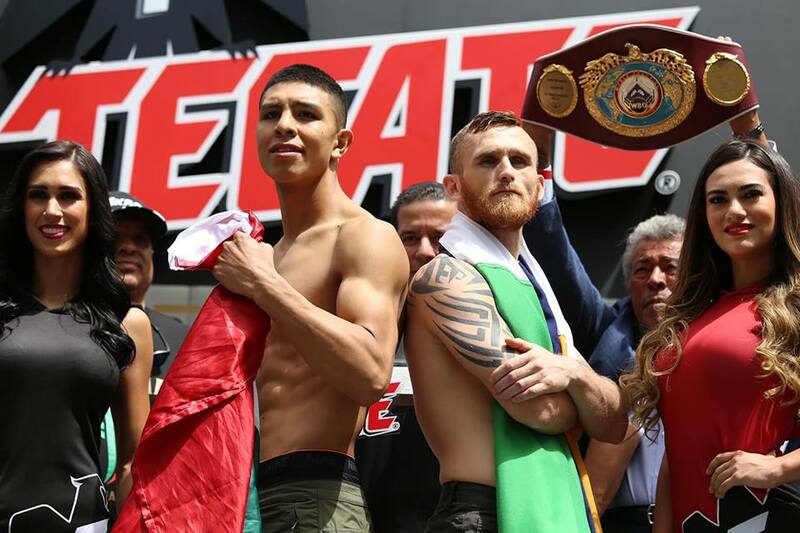 WBO Junior Middleweight World Champion Jaime Munguia and mandatory 154-pound challenger Dennis Hurricane” Hogan had their official weigh-in ahead of their 12-round fight for Munguia’s title. Eaqch one weighed 154 lbs. They were joined by Oscar De La Hoya, Chairman and CEO of Golden Boy, along with Fernando Beltran, CEO of Zanfer Promotions, among others.The event will take place Saturday, April 13, 2019 at Arena Monterrey in Monterrey, Nuevo Leon, Mexico and will be streamed live exclusively on DAZN. WBO World Champion Arely Muciño weighed 112 lbs, and Yairineth Altuva 112 lbs for their fight tomorrow at Arena Monterrey in Monterrey, Nuevo Leon, Mexico. 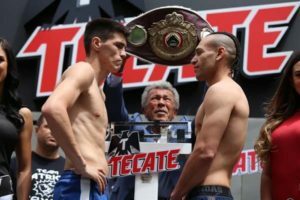 WBO Latino Jr. Middleweight Champion and #4 ranked  Patrick Teixeira (29-1, 22 KOs) weighed 154 lbs vs.  Mario Alberto Lozano (33-8, 24 KOs) weighed 154 lbs.